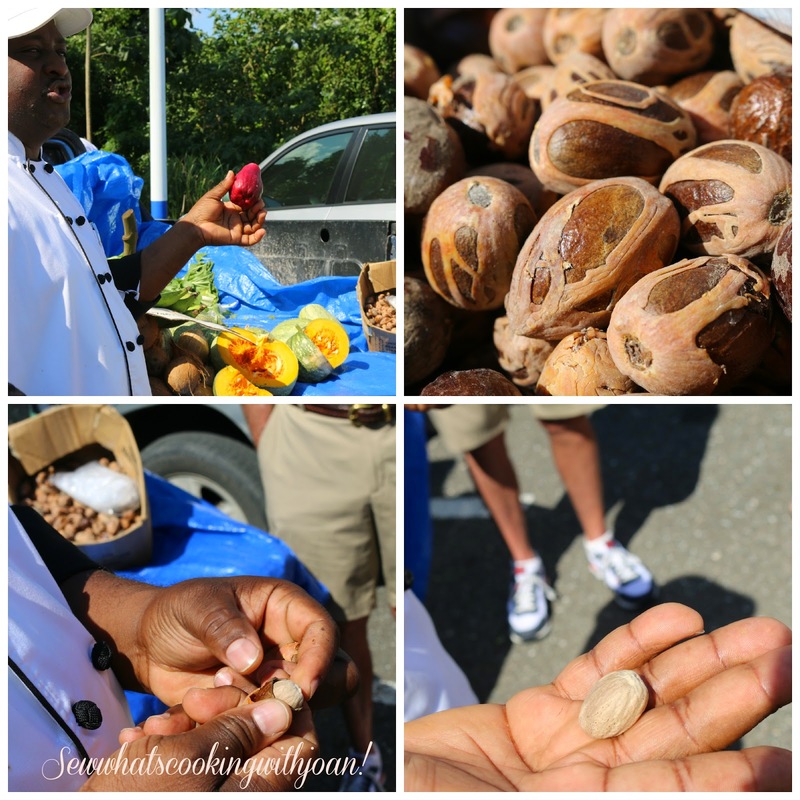 Top left, Jamaican apple, top right whole nutmeg, bottom left, Chef Maurice peeling the outer shell off the nutmeg, bottom right, the nutmeg as we buy it. 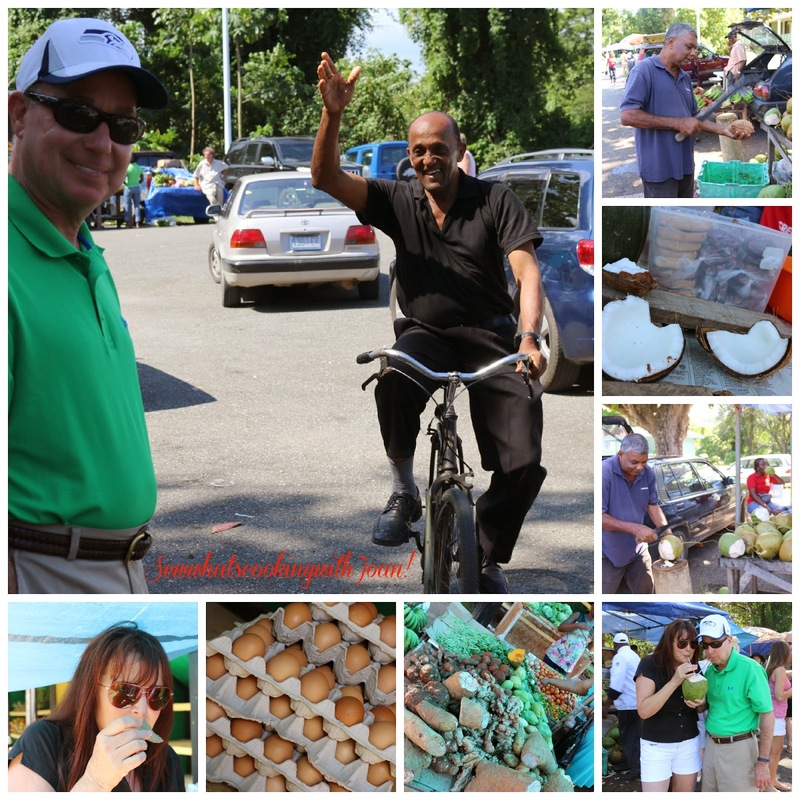 A farmer sells carrots, Jamaican apples, Scotch bonnet peppers, nutmeg, yams, greens and much, much more at the Ocho Rios farmers’ market. Scotch bonnets come in vivid shades of red, orange and green and are used throughout the Caribbean. Though they look similar to habaneros, Scotch bonnets have a citrus note that makes them undeniably different. You can control the heat of a dish a little by discarding the membranes that hold the seeds, which are the spiciest part of chile peppers, along with the seeds themselves. Be sure to use rubber gloves or wash your hands thoroughly after handling hot peppers. You can find a recipe for Hot hot Jerk dip here on the blog, by clicking the link. Also, the funny story of Wee Bear and I partnering with a local Jamaican to farm limes and Scotch Bonnet peppers. Photo on left is Richard from the UK, holding a yam. 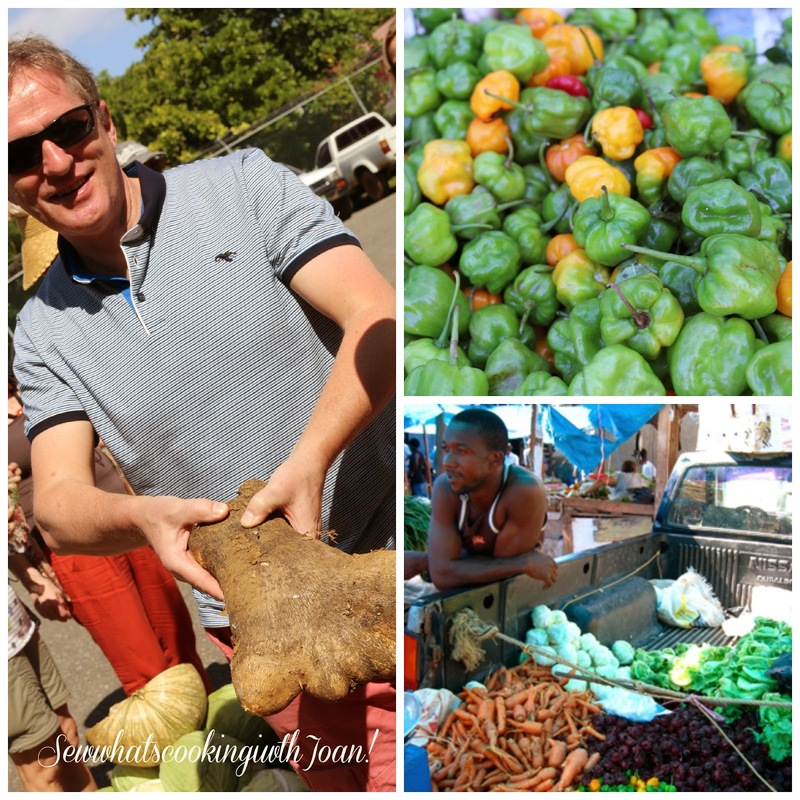 Photo on top right is scotch bonnet peppers, bottom right is a local farmer with his produce. 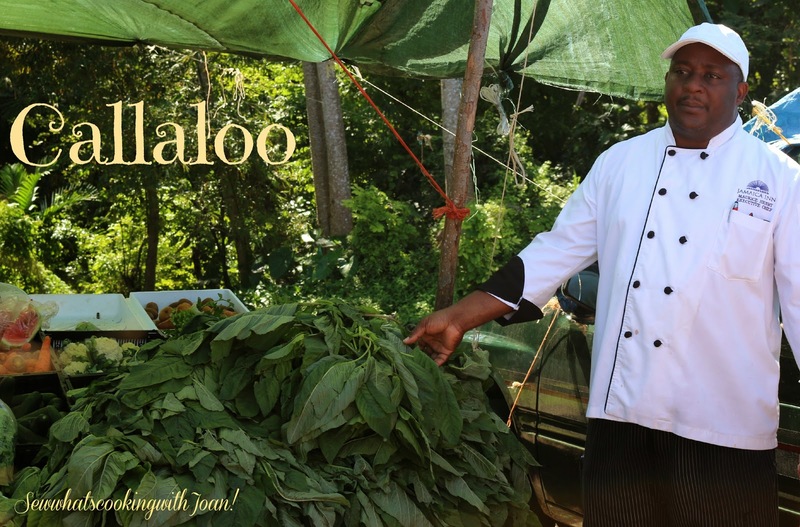 One of the most popular greens on the island is callaloo, more commonly referred to as amaranth in the U.S. Some farmers consider it to be simply a weed, but if you’re lucky to find it in bunches at your farmers’ market or a Caribbean market, snap it up! It has a texture somewhere between that of collard greens and spinach, both of which are fine substitutes. 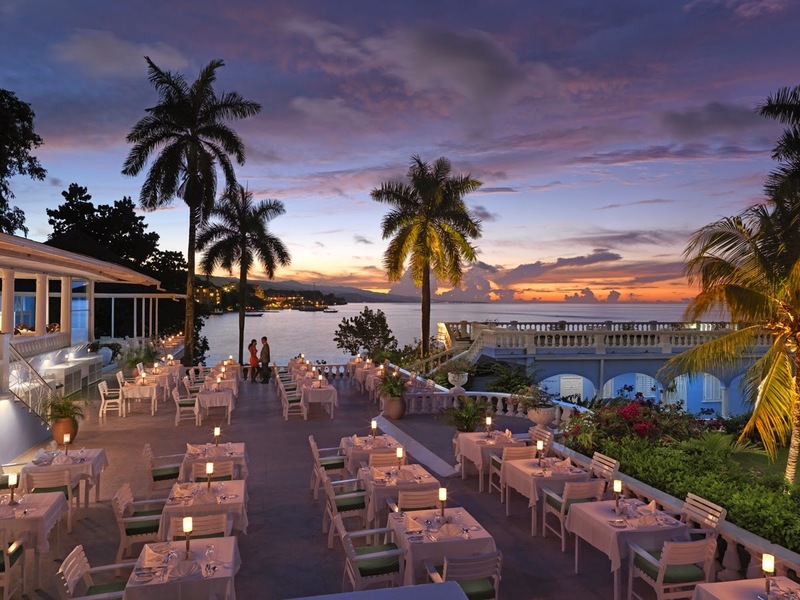 Soups are very popular in Jamaica, particularly ones made with pumpkin. I like to top mine with a dollop of rum-scented cream, a nod to the liquor distilled on the island! Then out of the blue we see a familiar face riding into the market on a bicycle, that the owners of Jamaica Inn gave him in 1982!! It's Teddy from the Inn! 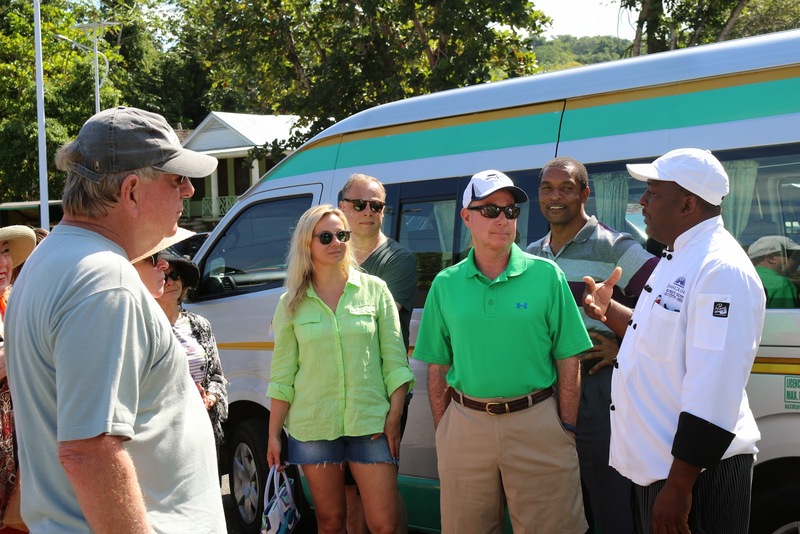 On December 28th, 1958 Teddy Tucker commenced working at Jamaica Inn. It’s been 56 years! 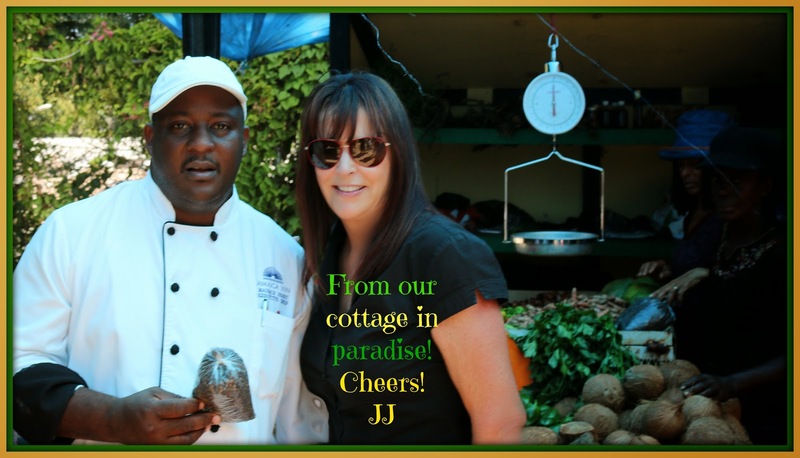 No visit to Jamaica Inn is complete without having a drink at the beach bar with Teddy. Or to have him sing, "Lady in Red" on Valentines day with the Jamaica Inn band. 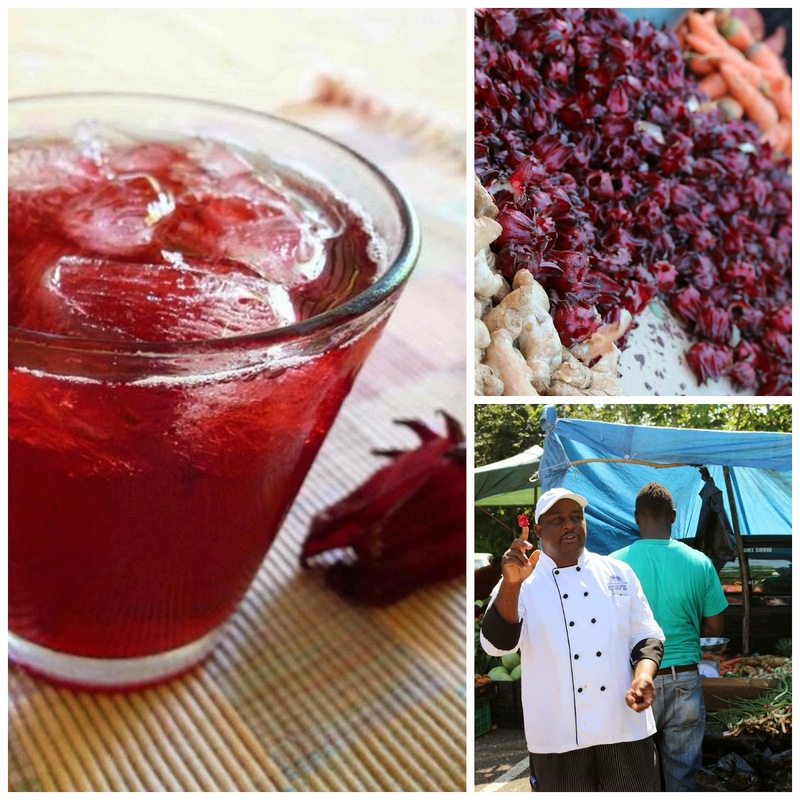 In Jamaica, Christmas wouldn’t be the same without sorrel and Christmas cake. Both have rum in them … yes,they do like their rum during the holidays! The sorrel flower is in full bloom at Christmas time in Jamaica so that’s one of the reasons it’s a traditional holiday favorite. It has a deep red color and unique flavor enhanced with spices, lemon juice and rum. You can omit the rum, but I personally think it tastes better with it. For this recipe you can use fresh or dried sorrel. I use dried sorrel, which is easier to find where I live. If you’re lucky enough to find fresh sorrel just double the amount you use for this recipe. 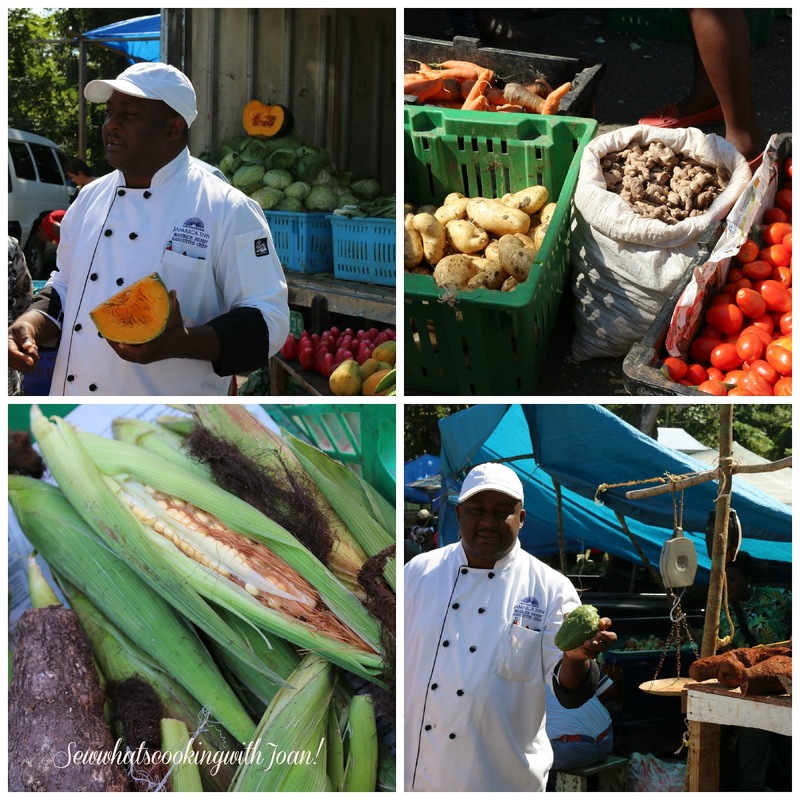 After the market shopping, Chef Maurice did a cooking demo with the fresh vegetables! 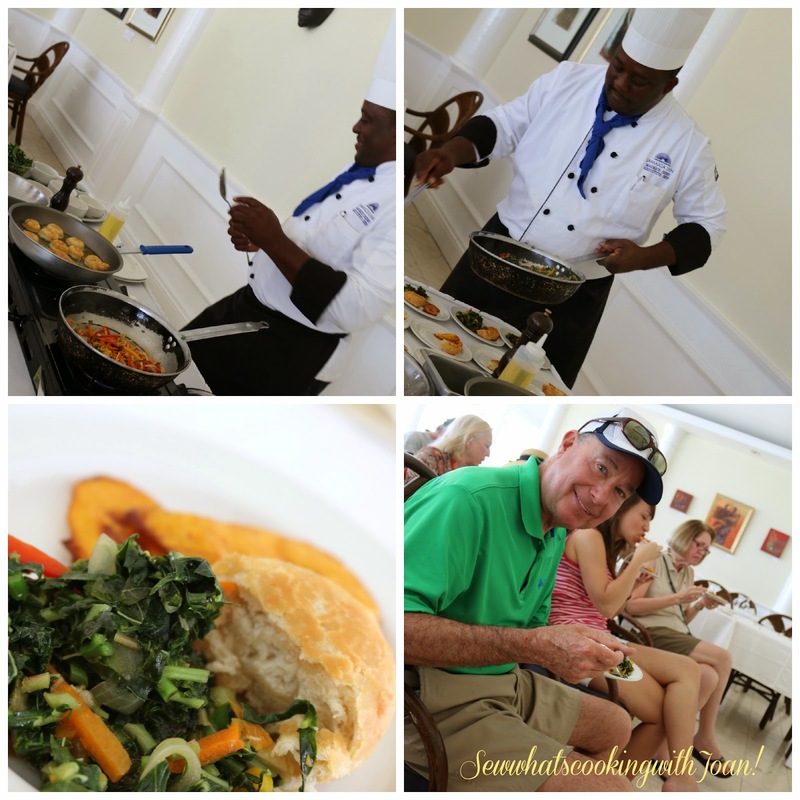 He sauteed the onions, carrots, red and yellow peppers, Scotch Bonnet peppers, green onions and callaloo and served it with a freshly made dumpling........yummy!! !